Alpha Math Learning is a local Arlington Heights math tutor offering private instruction for students that are interested in sharpening their math skills. Alpha Math Learning is owned and operated by Mr. Patel. Mr. Patel is certified with the Illinois State Board of Education and American Tutoring Association. As a local tutor and private instructor in Arlington Heights, Alpha Math Learning is familiar with the curriculums adopted by all of the local school districts for all grade levels. We maintain working relationships with many teachers in the local school systems, as communication with private tutors such as our selves and our existing clientele's teachers, is welcome by the School District. Most parents realize the importance of providing a solid foundation for their child's education. This is why Alpha Math Learning offers local math tutoring programs in Arlington Heights, IL 60004. We specialize in standardized test prep Math for ACT, PSAT, SAT; SAT-Math Level 1 and SAT-Math Level 2 subject tests and Algebra-I. If you are seeking a local home schooling instructor in Arlington Heights, IL 60004 to assist your student in furthering their education and math skills, then we can help. Did you know that 67% of Arlington Heights residents hold library cards to the Arlington Heights Memorial Library (public library) in the village? Memberships entitle cardholders to borrowing privileges. 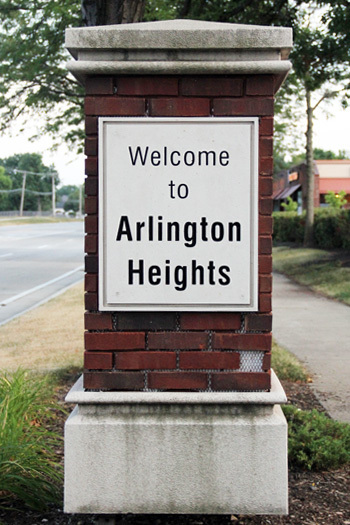 The 2010 census revealed Arlington Heights' population of 75,101 as the most populous community in the United States that is incorporated as a "village". Public elementary schools and middle schools in Arlington Heights are primarily operated by Arlington Heights School District 23. Portions of the Village of Arlington Heights are also served by Prospect Heights School District 23, Wheeling School District 21, Elk Grove School District 59 and Community Consolidated School District 15. Public high schools are operated by Township High School District 214. During peak enrollment from the 1960s to the 1980s, there were three public high schools in Arlington Heights: Arlington High School, Forest View High School and John Hersey High School. Parts of the Village of Arlington Heights are also served by Palatine High School n Township High School District 211.